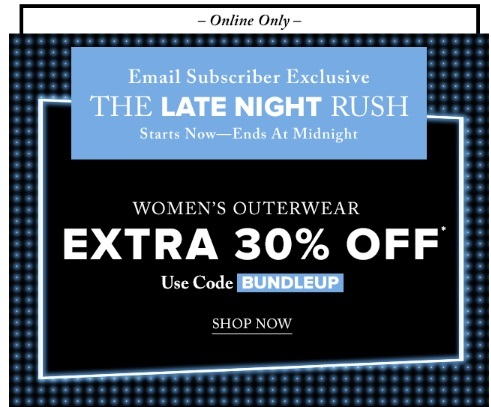 Hudson's Bay has a Late Night Rush sale on now! Save an extra 30% off Women's outerwear! This is an email subscriber exclusive that we're sharing with you! Enter the promo code BUNDLEUP at checkout. Offer is valid until 11:59pm ET only.